Washing machines are thought to be by many people as a luxury item. Being able to clean your clothes without going to a laundromat is a luxury in-a-sense or going to a relative’s house for washing can become an annoyance. 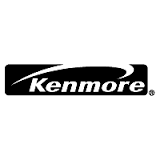 One thing’s for sure is that if your Kenmore washer breaks down, your household will become less functional. So yes, a Kenmore washing machine is a luxury item, but also a necessity. No matter the brand name or the price, every washer will need some type of repair service sooner or later. If you own a Kenmore Washer and are in need of repair, Service Masters Appliance Repair is for you. We cover a large area known as the San Gabriel Valley and if you just so happen to live in this area, you could receive same day service. Now that’s a bonus in itself and there isn’t too many other repair services that provide same day service. Service Masters has been in business for up to 15 years and it’s family owned and operated. Our team of highly skilled individuals to get your Kenmore washer or any other home appliance up and running in no time. The coverage area includes Pasadena, South Pasadena, Altadena, La Canada Flintridge, San Marino, San Gabriel, Alhambra, and Arcadia. Why Is Service masters Appliance Repair The Best? Appliance repairs can be expensive depending on the problem, but Service Masters guarantees to give you an affordable price. Not only does this help the consumer who might be in financial debt, but it shows good business practices and morals from a company who values you as a customer. Repeat customers are what keeps any company in business, especially repairers. If you’re in the area, Service Masters provides a free service call and no work is done until after the negotiation process is over. Now that’s great service from a fully licensed company. Integrity and quality is what the company lives by and all of the team’s employees have had a criminal background check.